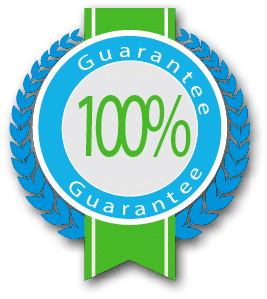 SpeedyPrep is proud to offer a 100% pass rate guarantee. Our materials are comprehensive and current. Our study methodology works, and when subscribers complete their SpeedyPrep courses, they have a 95% pass rate. Our guarantee applies when a subscriber has filled their progress bar to a minimum of 90%. After successfully studying and completing any of our preparatory courses, you will qualify for our SpeedyPrep money back promise. If you earn 90% or more on your progress bar, but fail your CLEP exam, we will refund up to three months of your already used subscription fees. have taken their CLEP within 30 days of their last SpeedyPrep sign-in and have failed the exam. Subscriber dissatisfaction with the service. Pro-rated or partial months for unused service. Subscribers who are under 16 years of age. Refunds for a failed CLEP exam apply to months already used, not to months remaining on a subscription. Complete one of our guaranteed CLEP prep courses. Study until your course progress reaches 90%. Take the CLEP exam that directly correlates with (i.e. has the same name as) the SpeedyPrep CLEP prep course you completed. Mail, fax, or email a copy of your CLEP failing score printout to SpeedyPrep within 30 days of the failed exam. Please include your name and email address. Contact information can be found here.